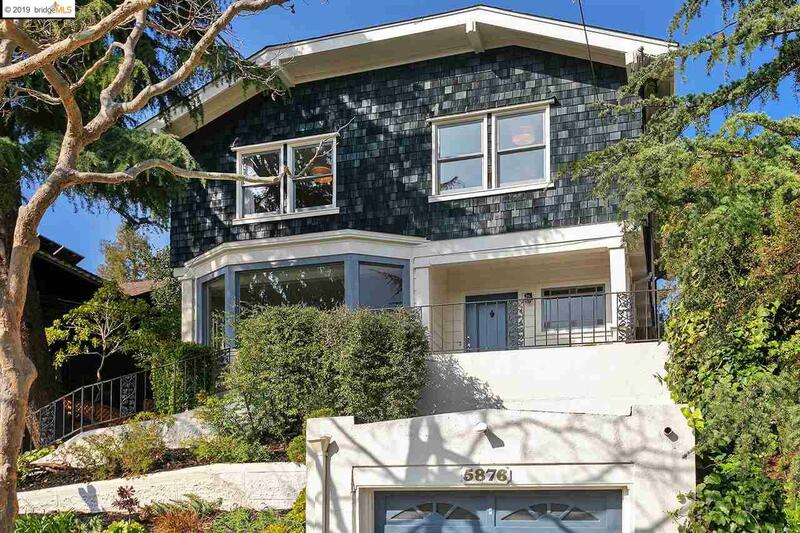 Stunning Rockridge Craftsman located just 2 blocks from the best of College Ave. Boasting a 79 WalkScore this home is a commuter's dream just minutes from Rockridge BART and Hwy 24 on-ramps. Light-filled living room w/coved bay windows, wood burning fireplace and artisan crown moldings. The formal dining room with period built-ins connects to the recently updated chef's kitchen. Ready for your next culinary adventure, updates include mahogany cabinets, stone countertops, cozy breakfast bar, and stainless appliances. Large family room leading out to the gardens and deck for entertaining. 3 bedrooms up with renovated hall bath & private rear gardens w/outdoor fireplace, sports court & drought-tolerant gardens.